Sharad Kharé is a digital journalist and documentarian of people and big ideas. Sharad has his Masters in Communications and did his thesis on Digital Legacy. His work in interviewing and documenting the world’s most interesting thought leaders has been very well regarded in the world of global content. 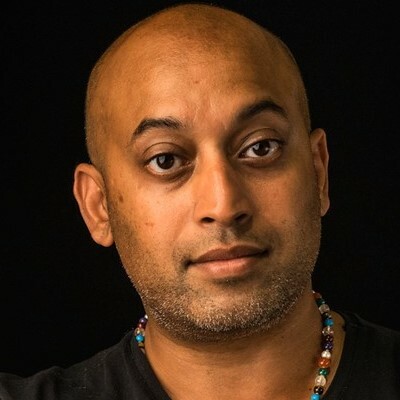 Over the last decade, legacy documentarian Sharad Kharé has been engaging with some of the world’s most interesting individuals in dialogue regarding their digital legacy, personal legacy and living legacy. His training as a live dialogue moderator and interviewer has allowed him to capture people like His Holiness the Dalai Lama, Meryl Streep, Helen Mirren, Arianna Huffington, Susan Sarandon, Tim Draper, Peter Diamandis, Jack & Suzy Welch, Chip Wilson and many more on his lens. Sharad has been known to travel anywhere in the world that the story takes him, always in pursuit of new and exciting legacy projects to create. His signature interview style is to have a one-on-one dialogue that covers the person’s life journey from beginning to present, comfortably bringing out candid and interesting stories through conversation and unscripted interaction. Sharad’s clients work with him to create video content that tells stories for public and private audiences. Sharad’s research in his communications master’s degree had a deep look at how legacy affects people in their period of greatness, strife, despair, and victory. His thesis focused on the relationship between personal legacy and digital legacy. The former involves the persona that one’s friends and family may know about them, while the latter refers to the persona created in the digital realm of social media and art. As Sharad began working in the world of journalism and media, he has maintained his interest in where the two aspects of legacy intersect - a living legacy.